Our streets are changing fast, with new and upgraded bikeways being installed all over the East Bay. Protected bike lanes, bike signals, turn boxes, and protected intersections are among the newer treatments we are advocating for to make bicycling more accessible for people of all ages and abilities. However, driver training hasn’t kept up, leaving many unaware of how to use these facilities. The award-winning Bike East Bay education program is a great resource for learning how to have more fun on every bike ride while overcoming barriers to biking in the East Bay. Some of these barriers include concerns about traffic safety, and with the driver at fault in over half of all bike/car crashes we needed to broaden our approach to have the most impact. 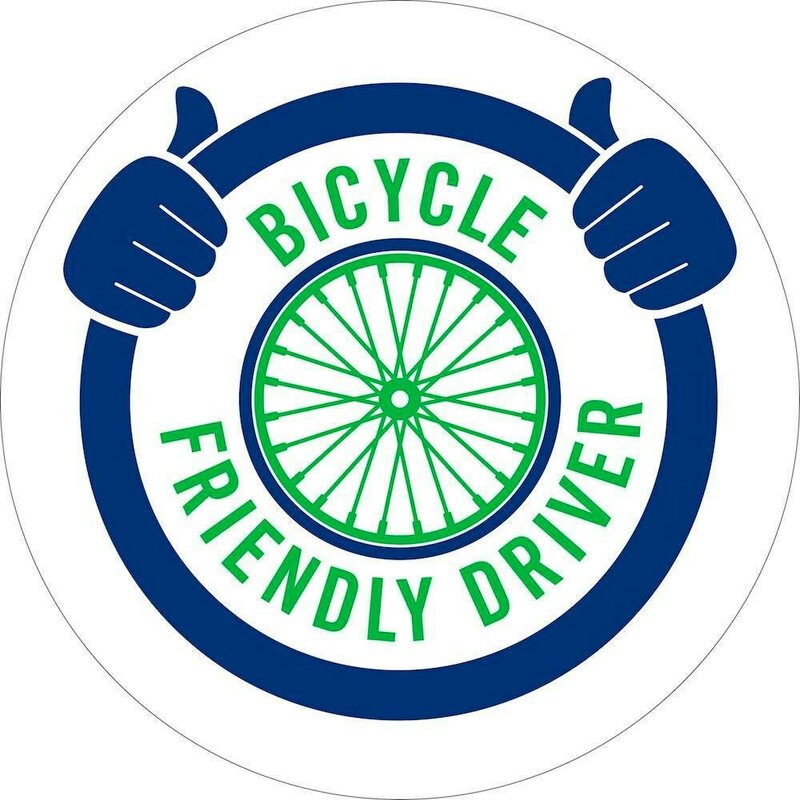 With this in mind we introduced a new Bike-Friendly Driver course this year, inspired by similar classes in places like San Francisco and Fort Collins. These courses fill in the gaps of traditional drivers education programs, and help people learn how to operate vehicles safely around people biking and walking. Our first driver-focused class this year was in partnership with the City of Emeryville, reaching all 30 Emery-Go-Round drivers at one early morning session in March, fueled by lots of donuts and coffee. This class included a great conversation about different types of bikeways and what they’re for, as well as some “a-ha” moments about the dangers associated with speeding, and why it’s a good idea to change lanes when passing a bike rider. We also learned that the shuttle drivers don’t care much for the green “super-sharrow” lane on 40th Street near MacArthur BART, and would much rather have a real bike lane there (our advocacy team took note!). 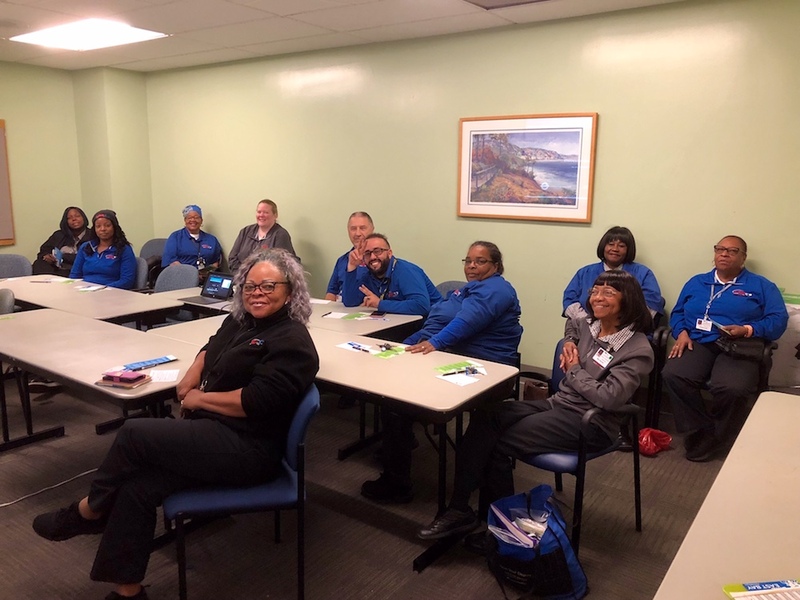 Another session was taught this summer with Kaiser Permanente, provided to over a dozen shuttle operators at their Oakland facility. Having both long-time and newer employees in the room together for the discussion was especially valuable. When one shuttle operator questioned the legality and safety of having bikes in the roadway, the more experienced drivers responded for us, validating and reinforcing the points from our presentation. You can also download and share our popular Driver/Cyclist Quick Tips postcard, or pick up copies in English, Spanish, and Chinese at the Bike East Bay office in Oakland’s Jack London Square. Lastly, take our quick, 6-question quiz to test your knowledge of the law, and share it with your friends!